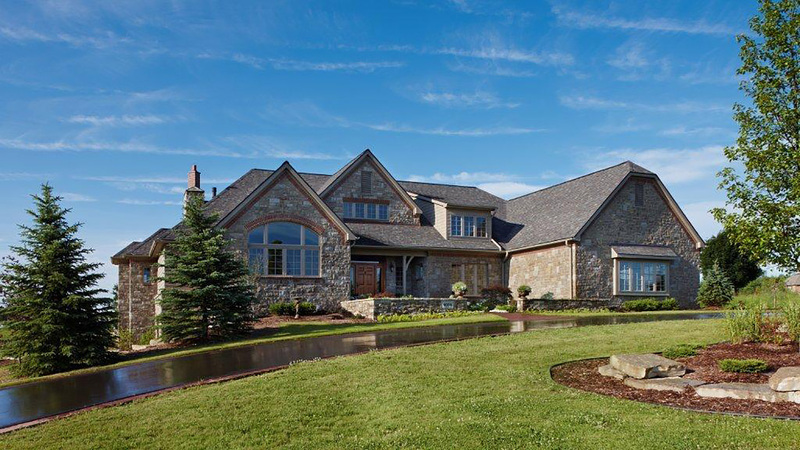 The Cutcombe House embodies an exceptional blend of modern amenities with a classic, English-inspired design. From the vast pastoral scenes surrounding the home to the Michigan limestone exterior, the Cutcombe House is a true work of art paralleling the design of England’s Cotswold Cottages. Keeping the authenticity of the homesite in mind, each room offers tranquil views bathed in natural sunlight. 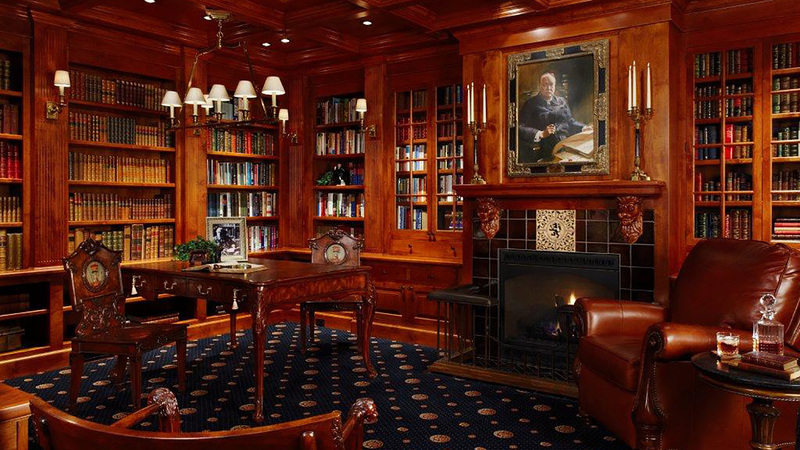 Perhaps the most impressive room in the Cutcombe House is the custom, Winston Churchill library. 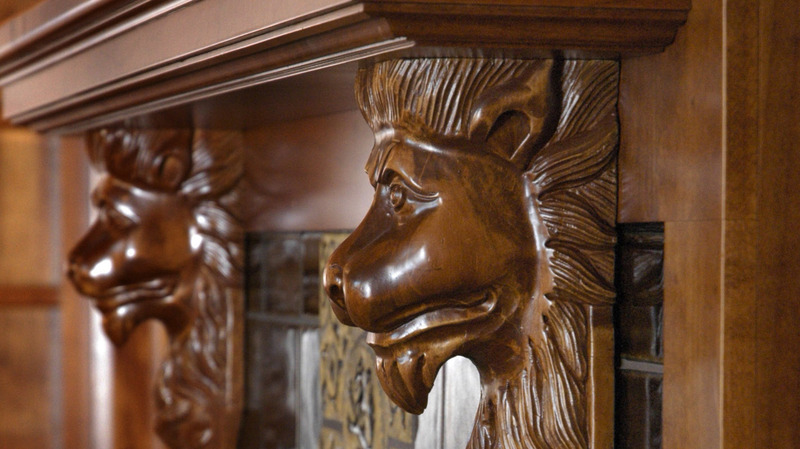 Handcrafted with alder and draped with Churchill antiquity, the library took months of meticulous craftsmanship to create. 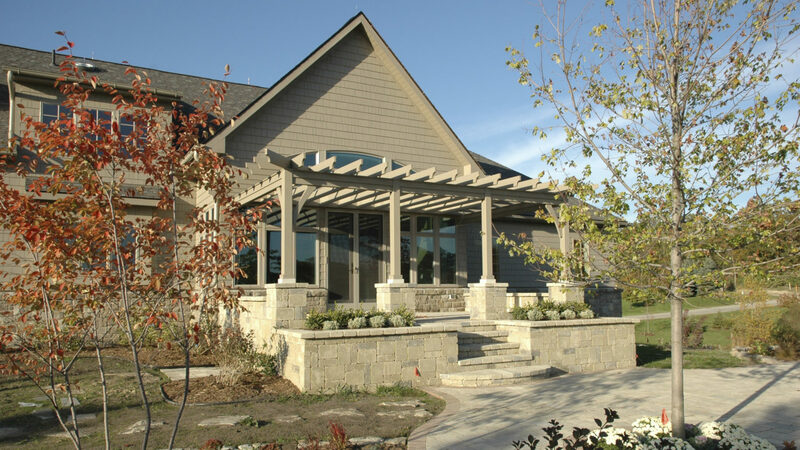 Every detail, from carefully directing the flow of natural light to selecting the proper hearth, maintains the integrity of the homeowner’s collection and creates a cohesive design. 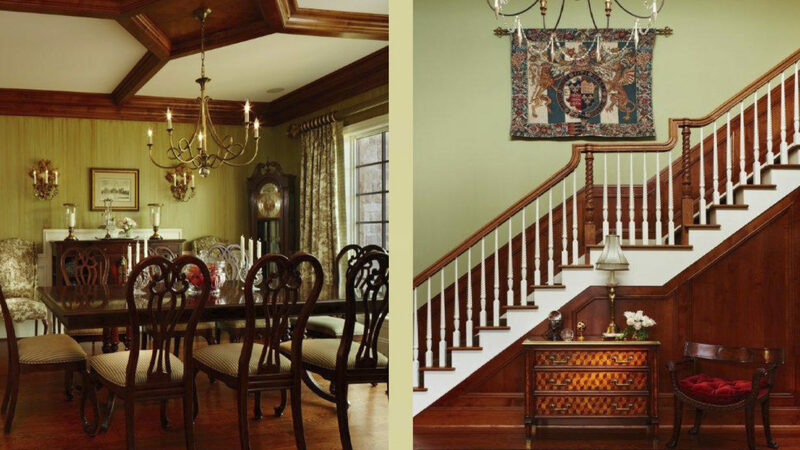 Custom molding accentuates the homeowner’s furniture in the dining room, while a unique wall treatment adds depth. Alder from the library transforms into a ceiling medallion and coffered ceiling above the dining table, unifying each room of the home. The front hall offers an equally impressive design with quarter-sawn white oak floors and a grand chandelier that lowers on command. 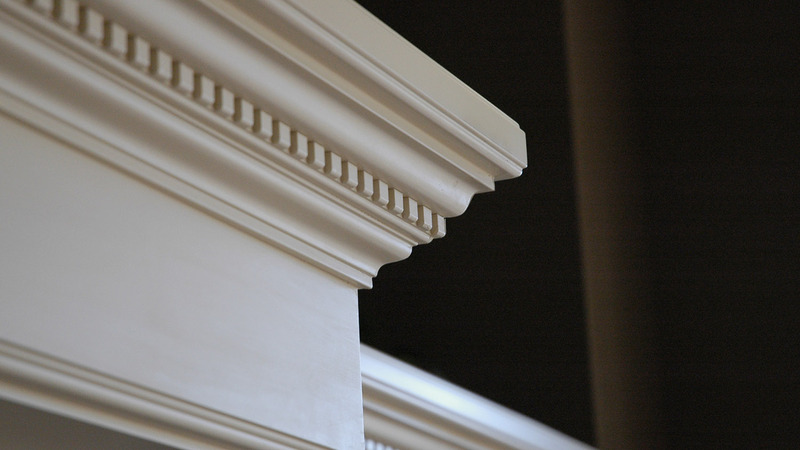 The meticulously-crafted and intricate trim detail continues into the kitchen. 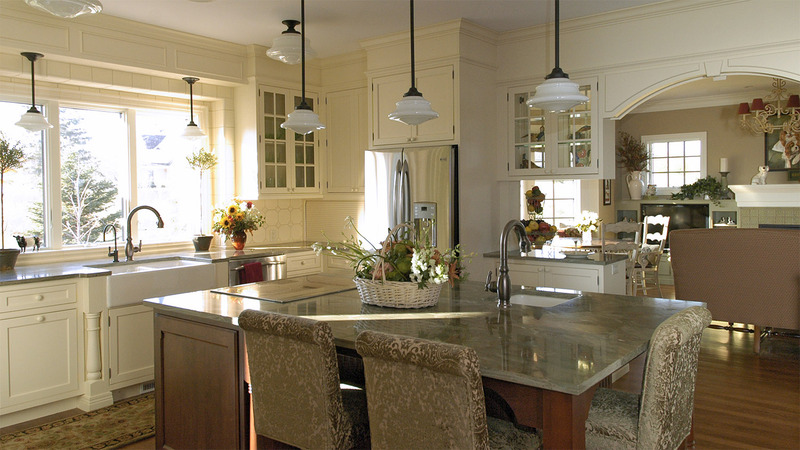 In addition to the generous work space and refined materials, the large island and adjacent parlor provide informal gathering spots for family and guests. 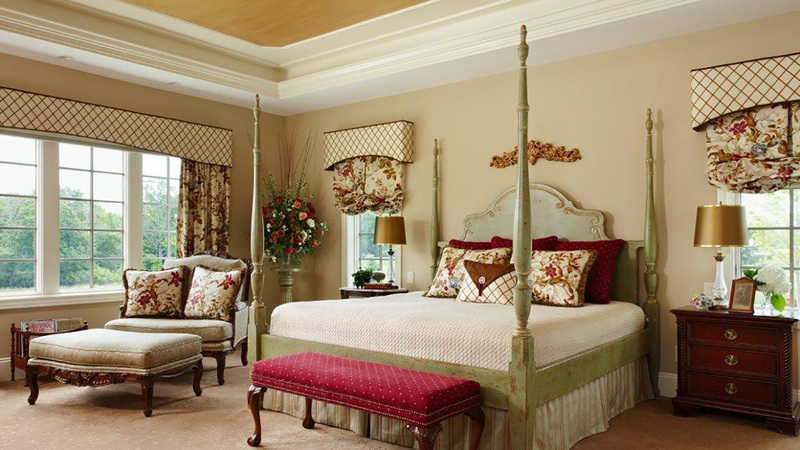 One of the most comfortable spaces in the home is the master bedroom, a place to retreat and relax. 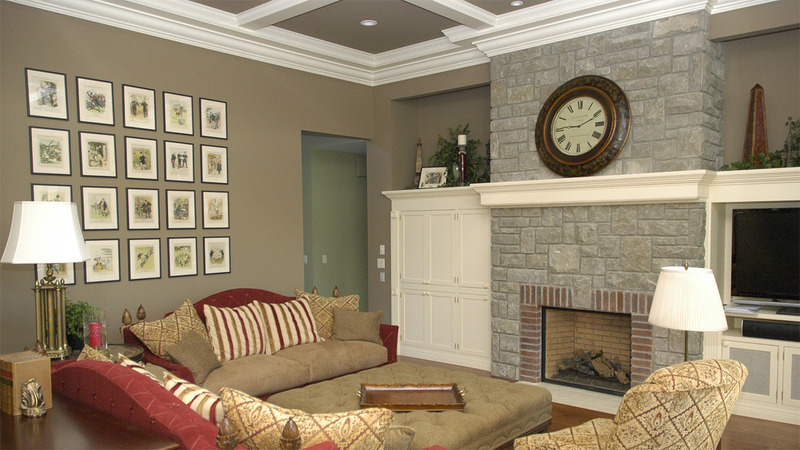 The neutral wall color illuminates the tray ceiling and detailed crown molding, drawing the eyes upward toward the expansive ceiling and large windows. Matching pedestal sinks flank a freestanding bathtub in the master bathroom retreat. Classic tile throughout creates a simple and elegant look. 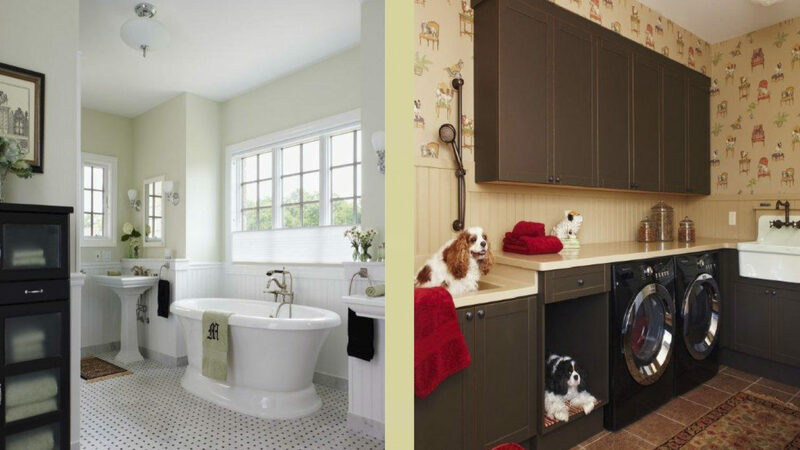 The family dogs also have an ideal space in the home with the laundry room, which boasts custom built-in cabinetry, a dog-bathing area, and a deep-basin sink. A generous four-season porch next to the living room and kitchen opens onto a multi-level patio overlooking the gardens and surrounding landscape to the south.